I've always dreamed of vacationing in Hawaii, but never realized the anxiety that would be associated with going on a trip that I've never been on. We were told to fly into the San Diego airport and they would "find" us and bus us to Ensenada (1-3 hours??) where the ship would set sail for Hawaii. This was the part that made me nervous. 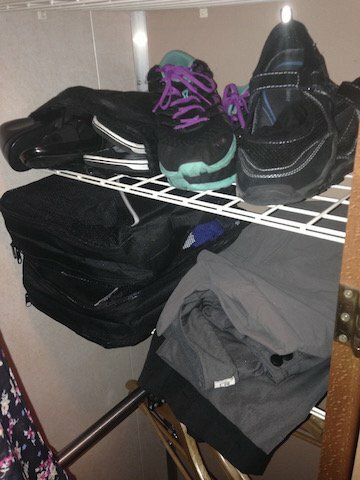 From the plane, to a rental car, to the bus and finally onto the cruise ship, I needed to be certain that I was able to pack in a carry-on and stay organized. We were about to embark on quite a journey. Now many of you are protesting the use of hangers and wonder why I would sacrifice my precious space inside the carry-on with hangers. It may surprise you JUST how much you can get inside using our packing methods found in a separate video. For this trip I utilized ONLY the items that I normally would hang up in my closet and packet the rest in our double sided packing cubes. 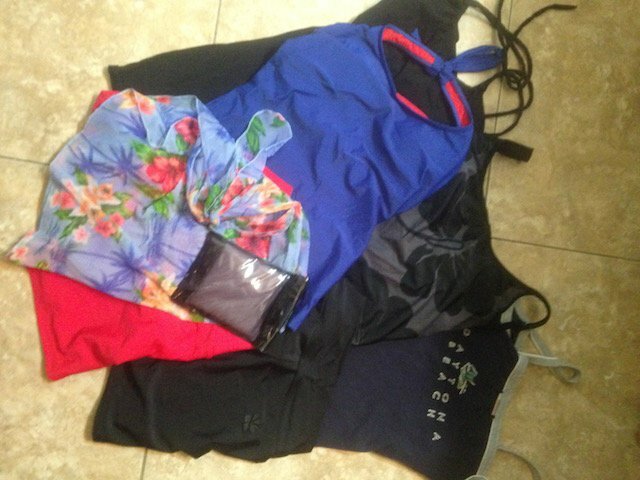 Unpacking was a breeze and everything was ready to wear and went straight into the closet. Voila! 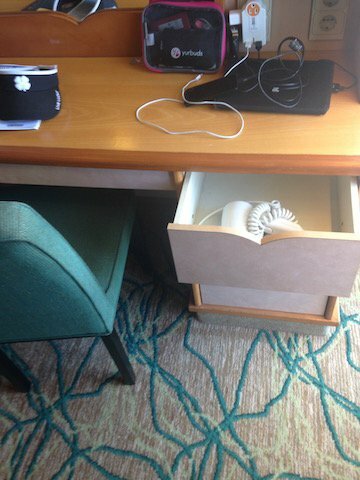 "Powering up" our devices are a constant battle when traveling. ESPECIALLY when so many tickets, maps and information are needed from our phone. My battery seems to drain so much quicker when traveling. Make sure you turn off any bluetooth connections and Wi-fi to save your battery. 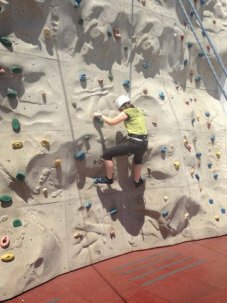 Understanding WHAT, WHERE, and HOW are crucial to enjoying our trips. WHAT? Create a "Power Pack" like my pink organizer. This pack will be transferred from the plane, to the car, and finally to the cruise ship utilizing all forms of power sources. Things to include would be: Multi-plug wall charger, Car adapter, Extra battery pack, appropriate chargers for all devices. WHERE? Many airports/airplanes have USB charging hubs. Some rental cars are equipped to handle a USB while others may need the car adapter. During the bus ride, I utilized my extra battery pack. 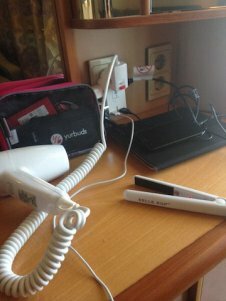 And finally with our cruise ship, I pulled out the multi-plug charger that was a requirement since the only US plug that is available is found by the mirror OUTSIDE the bathroom. HOW? You've heard the expression "go big or go home". Right? I like to say to "go small or go home". Traveling is never fun when you have TOO many items that aren't being used enough to warrant the space they take up. 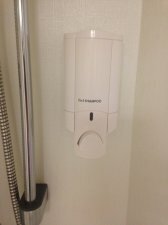 I have LOVED my Lewis and Clark AC outlet wall charger with 2.1 USB charger that I utilize it in my bathroom daily for my electronics as well as my appliances. 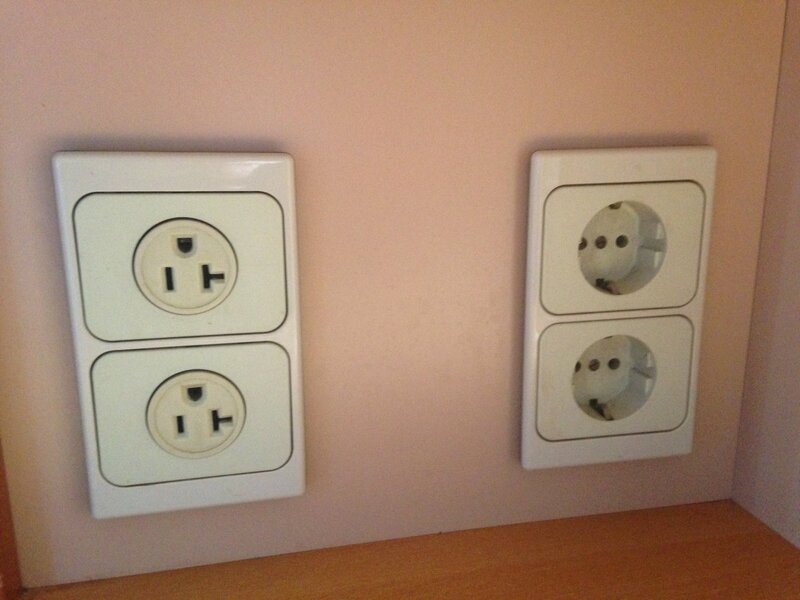 Foreign flagships will generally accommodate both the European as well as the US plugs. You just want to have a power strip that will multiply your two outlets. INSIDE CABIN? Make sure to pack a night light as there will be no natural light in your cabin. WRIST WATCH/ALARM CLOCK. Due to constantly crossing time changes, don't plan on using your phone keeping track of the ship's time. I liked to keep an alarm clock in the room with a wrist watch when I'm at a port and needed to be back. 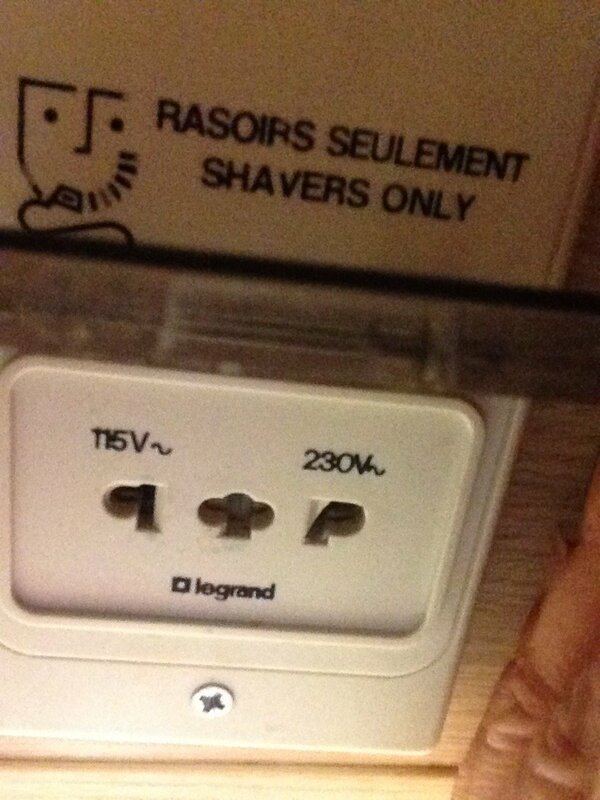 SHAVERS ONLY. I wanted to take a picture of the only plug I have ever been able to find in the bathroom. I've yet to be able to get this to work for me. See? Those little travel curling irons do work! need a second skirt for the other formal nights. 2. Simple stuff. Now determine what item can be replaced with a solid, have available at your destination, or be able to have dual purposes of. 3. 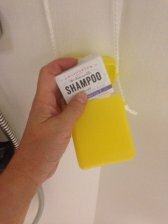 J.R. Liggetts Shampoo bar is what I tried out this trip for my hair, body wash AND for washing my clothes. 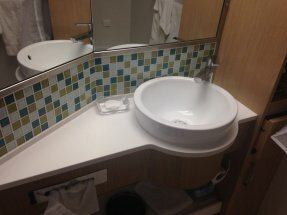 Royal Caribbean offered the Shampoo dispenser in the shower, but did not have lotion nor conditioner. 4. 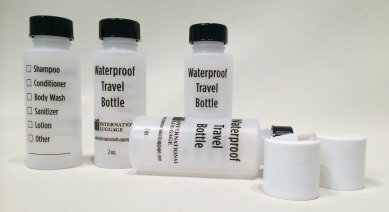 Be certain to use bottles that help prevent leaks. 5. 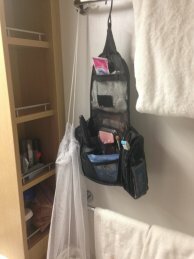 I love my Practical Concepts 10" Hang-Up Toiletry Bag that doesn't take up counter space and keeps everything organized. 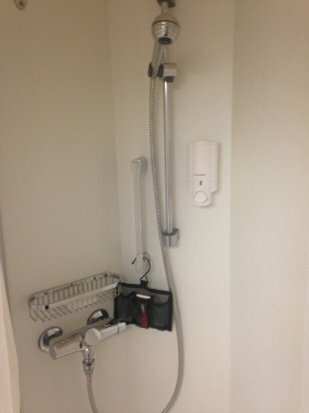 Did you know it contains a shower caddy as well? International plug can be found when purchasing the Woolite packets. Dry time? The top was fantastic! The capri pants took a little longer than overnight. RULE #2: Wear your pants and shirts for more than one day. 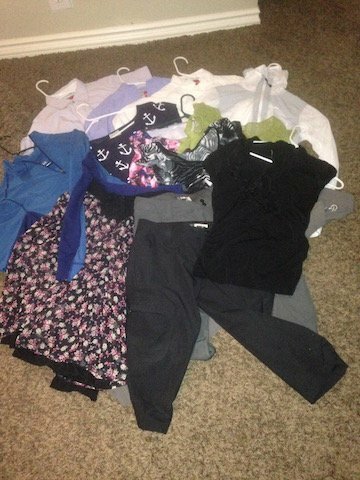 My general rule of thumb is 4 days per pants and 2 days per top. 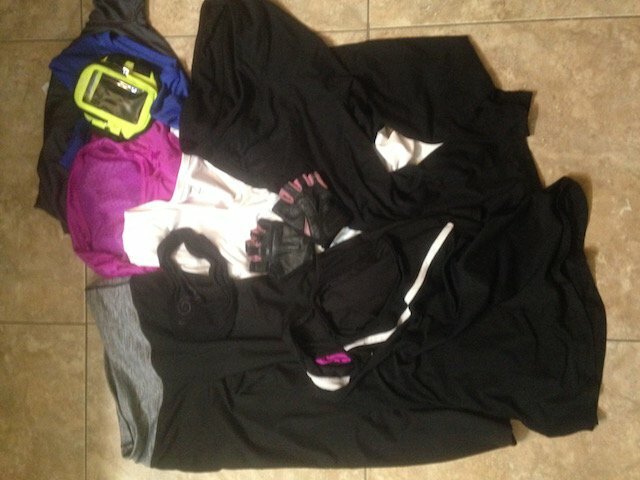 RULE #3: Travel with underwear and socks that contain material that dries quickly. I wore my merino wool Darn Tough socks to work out in and honestly didn't even have to hand wash them. No smell. Dries overnight AND kept my foot dry. And did you know they are warrantied for life against holes? Seriously the best sock to ever wear! RULE #4: I wrung out excess water with my microfiber towel to speed up the drying time. This towel was also fabulous to use as a beach towel or for around town. 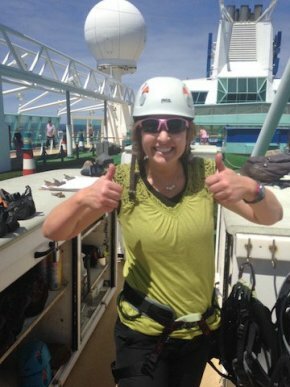 RULE #5: Cruise ships offer a laundry line to hang up items. Laundry lines are compact and don't take up much room to just store in your carry-on for those unexpected encounters when washing outside of a cruise trip.